Lost a game in arena, because forgot that this exists, seems like sometimes it might work. 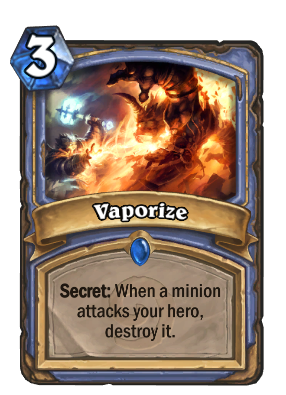 Works better with things like freeze mage or mage that hardly put down any minions. It normally create a situation where, people would not attack with a large minion for one turn and drop down a 2 drop at that turn to counter it. No use for aggro deck as most people trade board. A little bit of use against face hunter because you have lesser things to trade with and force them to drop charger. This card works perfectly on PvE because those boss AI are quite stupid and they don't play around things like secrets.